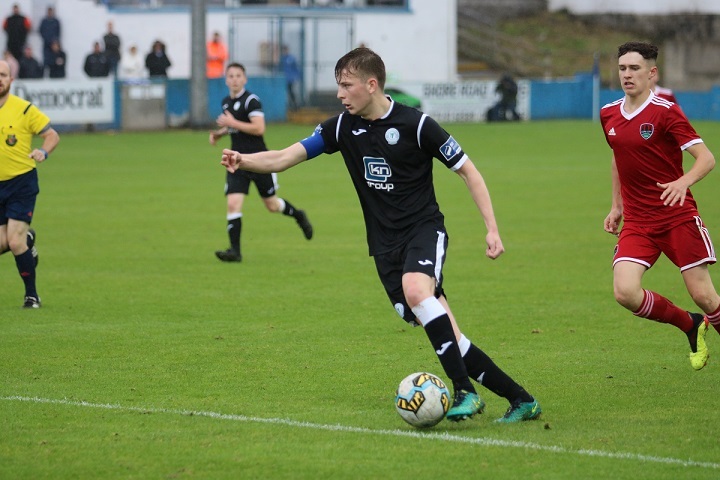 Finn Harps captain Daragh Ellison converted an 87th minute penalty to hand the Donegal side a first ever Mark Farren U-17 Cup Final win on Saturday. For Declan Boyle’s young team, it was a day to remember. They had been the better team throughout, but despite their best efforts, they just couldn’t muster a way past the Cork City defence. That was until the dying moments of the game. Gabriel Aduaka was brought down inside the area and when referee, Garvan Taggart awarded a penalty, Ellison showed great composure to fire the ball to the net. Given the pressure of the moment, it was a wonderful finish from the Finn Harps left-back who has been superb this season. And it was enough to win the game for Harps, much to the delight of the large Finn Park crowd. Cork City, just like Harps, have been very impressive this season, but they came up against a well organised Donegal side who enjoyed the majority of the possession in this decider. But for all their effort and the creation of numerous corners and set-pieces, Harps couldn’t make the breakthrough. But when Aduaka went down in the box, they were given the chance to win the game - and Ellison duly delivered with a convincing finish. Finn Harps: Eoin McGing, Lee McLaughlin, Daragh Ellison, Stephen Black, Joel Bradly Walsh, Jack Doherty, Corie McBride, Brendan Barr, Gabriel Aduaka, Ronan Gallagher, Steven McBride. Subs: Conor Black, Adam McCaffrey, Luke Rodden, Jamie Doherty, Finnian O’Donnell, Adrian McLaughlin. Cork City: Adam Cantwell, Uniss Kargbo, Alex Minihane, Jake O’Brien, Josh Honohan, Matt O’Reilly, Evison Rramini, Josh Lombardi, Ricardo Dinanga, Jamie O’Sullivan, Luke Desmond.